HYYTS are lifelong friends Adam and Sam, who started to make music together in 2015 even though their individual backgrounds musically are quite different. Sam started out making techno and house beats after being brought up on George Michael, Bowie and Moloko while Adam’s first love was disco before he learned to play the guitar and be inspired by traditional singer-songwriters like Leonard Cohen, Paul Simon and Eric Clapton. DWY is their gorgeous second single that sees the Glasgow duo embracing a more stripped back tone than their washed-out future pop sound of their debut, Butterflies In My Head. With swathes of wistful synths, a delicate acoustic guitar melody and the soulful falsetto vocals of Adam, it’s an alluring and beautiful ode, full of heartfelt emotion. Released at the end of November, the track featured on Spotify’s New Music Friday playlist and is currently sitting on their All New All Now playlist, having garnered tastemaker support from the likes of Clash, Phoenix Magazine, Unilad, Spindle and It's All Indie. 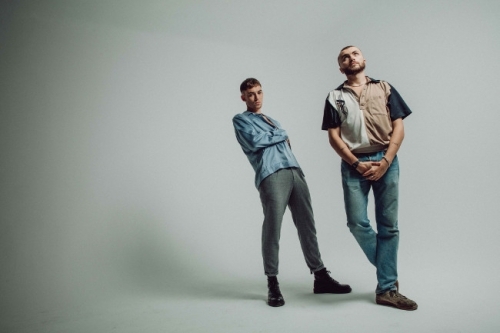 Over the weekend, they performed at the Scottish Music Awards and with a headline show in Glasgow at the end of January, the duo are preparing to take their future pop sound across the UK in 2019.